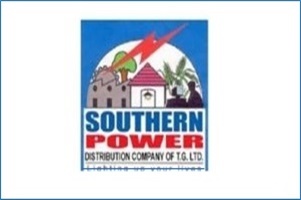 TSSPDCL AE Exam Hall Ticket 2018: Telangana State Southern Power Distribution Company Limited (TSSPDCL) has scheduled the Assistant Engineer (AE) examination on 25th March 2018. All the applicants can get ready by downloading the hall tickets from the TSSPDCL Official portal, tssouthernpower.cgg.gov.in. Applicants can preferably download TSSPDCL AE Hall ticket from 17th March onwards. Visit the official website of TSSPDCL and download the hall ticket by clicking on the respective link. Candidates will not be allowed to appear for the test if they do not show the admit card/hall ticket at the examination hall. Hence all the aspirants must download TSSPDCL AE Hall ticket 2018 and carry it to the examination to project the proof at the examination hall. Check more details of TSSPDCL AE Hall ticket from here below. Downloading of Hall Tickets for written examination for the posts of AE/Elecl., AE/Civil and JAO in TSSPDCL scheduled on 25-03-2017 starts from 17-03-2018 onwards. TSSPDCL AE Hall Ticket 2018 : The TSSPDCL (Telangana Southern Power Corporation Limited) has recently issued the job notification for 153 Assistant Engineer vacancies. The TSSPDCL has announced 20 Civil, 133 Electrical posts. A huge number of unemployed aspirants in the state seeking for Government posts have applied for Telangana Sothern Power AE Posts from 2nd February to 19th February. The TSSPDCL is going to scrutinize the suitable candidates by conducting the written test and interview rounds. Candidates have to qualify all the rounds of the selection process with good merit to get the announced posts. Candidates finally shortlisted for the announced posts will get a good pay scale of 41155-1700-44555-1985-54480-2280-63600. Initially, the applicants have to appear for the written test conducted by TSSPDCL on 25th March 2018. The Examination will be held at various examination centers of Telangana state. Since many of the hopefuls having the suitable qualification have applied for AE posts, the examination will be held in various examination centers across the state. All the applicants applied for TSSPDCL AE posts (Civil & Electrical) will have to appear for the test on the announced date. Candidates can download TSSPDCL AE Hall ticket 2018 from 17th March 2018. TSSPDCL AE Hall tickets 2018 and can observe the details of their examination center, date, and timings carefully from it. Also, aspirants must have to remember that, without admit cards, they will not be allowed to take the examination. Hence candidates must carry the admit cards while going to the exam. Search the TSSPDCL AE Hall Ticket download link on the official website. Check the information on TSSPDCL AE Hall Ticket 2018.
im applied for AE (electrical) post.i opened above link but hall ticket is not found. when u r releasing admit cards? the link which you provide is not working , kindly post the activate link to download Admitcards. as the exam date is 25 of this month. still official link was not released. We will update once it is released.